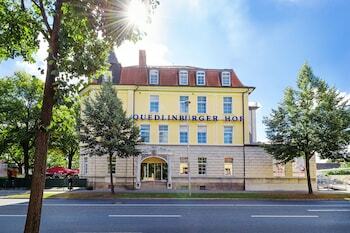 Located in Quedlinburg, Regiohotel Quedlinburger Hof is within a 15-minute walk of St Nikolai Church and Fachwerkmuseum Standerbau. Featured amenities include dry cleaning/laundry services, multilingual staff, and luggage storage. Self parking (subject to charges) is available onsite. With a stay at Ringhotel Altstadt in Guestrow, you'll be in the historical district, just a 4-minute walk from Guestrower Rathaus and 6 minutes by foot from Guestrow Castle.